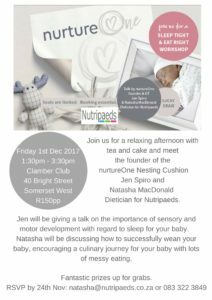 Join us for a relaxing afternoon at Clamber Club with tea and cake and meet the founder of the nurtureOne Nesting Cushion and Fuss Free Bib, Jen Spiro and Natasha MacDonald, Clinical Dietician for Nutripaeds. 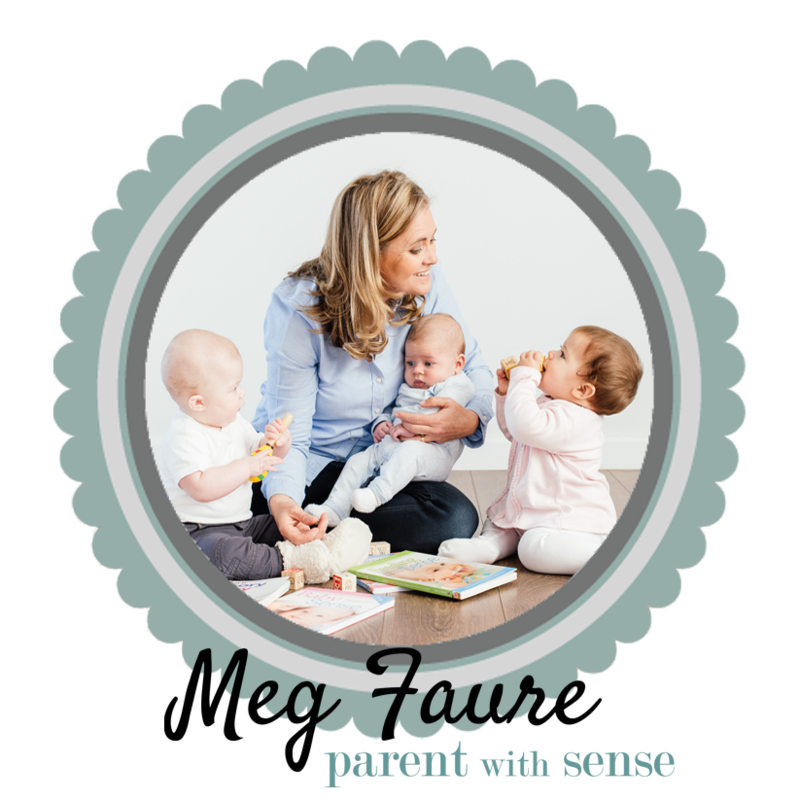 Jen will be giving a talk on the importance of sensory and motor development with regard to sleep for your baby as well as highlight the importance of messy eating and the role it plays in sensory processing. – Your baby’s sleep environment: Where to sleep? Natasha will be discussing how to successfully wean your baby, encouraging a culinary journey for your baby with lots of messy eating. 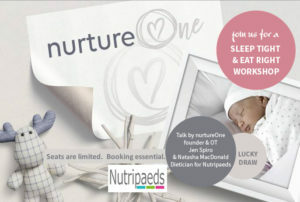 If you would like to attend, please RSVP to Natasha at natasha@nutripaeds.co.za. Cost is R150 per person which includes tea/coffee and cake and a Nutripaeds Weaning Guide. Fantastic prizes will be up for grabs. Natasha MacDonald is a Clinical Dietician (Paediatrics) for Kath Megaw and Associates as well as a Member of the Advisory Board and Online Community Manager for Nutripaeds. Natasha has worked in the field of paediatrics for the past 13 years and is based at Vincent Pallotti Hospital in Pinelands. Natasha works primarily in the Neonatal Intensive Care Unit where she works alongside the Paediatricians and is involved in the nutritional management of the premature infants. Natasha’s other area of specialty and passion includes infant and toddler feeding and helping parents navigate through weaning and beyond, and ensuring babies and toddlers are always offered a culinary journey that promotes good nutrition and sensory development. Natasha is involved in a number of workshops for parents in and around Cape Town and lives in Somerset West with her husband and 2 year son. Jenny′s passion lies in meeting the needs of babies and their caregivers. She has brought this enthusiasm to her work in paediatrics for 10 years. After qualifying with both social work and occupational therapy degrees, she specialised in working with newborn babies and children with learning difficulties. She has worked in community-based well baby clinics, provided occupational therapy intervention for children with learning difficulties, and run social skills groups with children and adolescents. She has also worked in private practice. 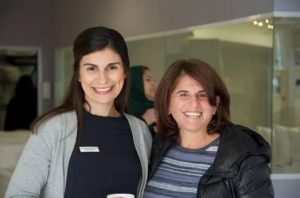 Her postgraduate studies have led to an holistic philosophy in which she integrates various approaches to provide children with appropriate sensory integration, neurodevelopment and emotional and or cognitive intervention. Being a mother of two, together with her work and studies, has given her a wealth of insight into the emotional, physical and developmental needs of babies. Jen believes that providing the correct environment for your baby is of utmost importance.